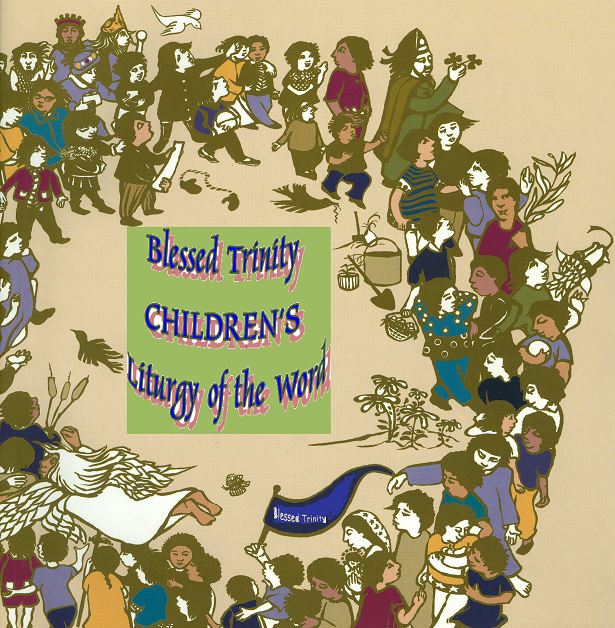 Children’s Liturgy of the Word takes place on the SECOND and FOURTH SUNDAY OF THE MONTH….October through May. SUNDAY at 10:00 am Mass. Pre-school thru fifth grade children are invited to participate. 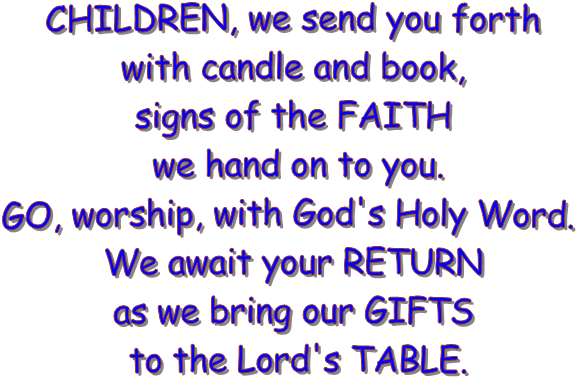 Following the opening prayer of Mass, children will be invited to come forward. We will send them forth, in procession, for their celebration of the Word of the Lord. Parents remain (parents may accompany their children if this will assist the child). They will return to the assembly, entering with the procession of the Gifts for the Eucharist. 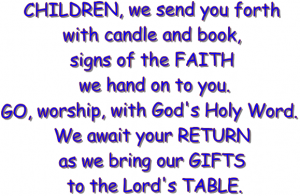 For the children this will be a time of worship and prayer. Those adults chosen as leader of Children’s Liturgy of the Word vest in an alb as sign that they are presiding at this portion of the liturgy.